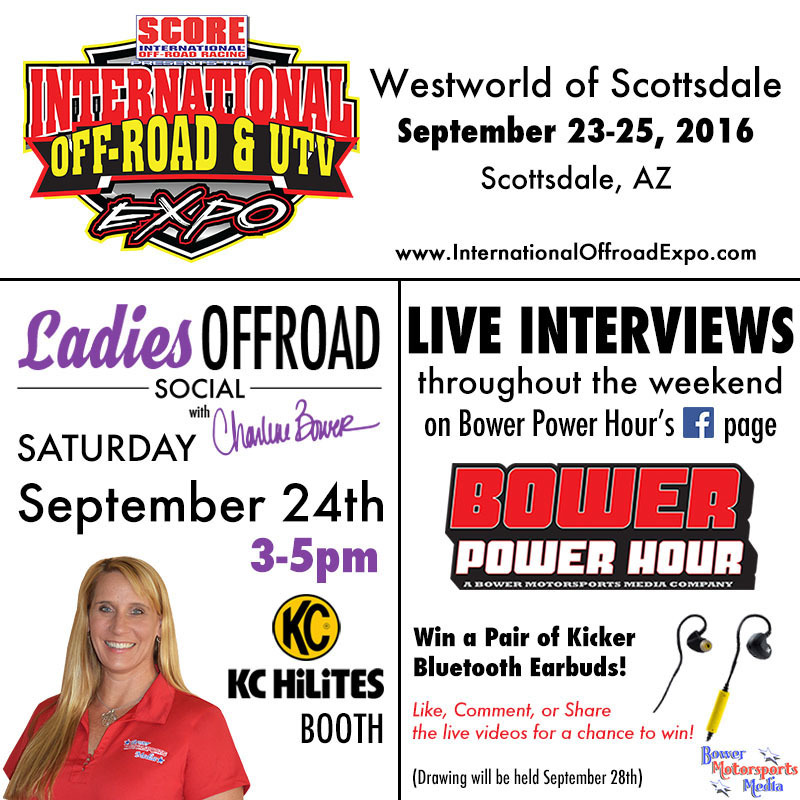 Charlene will be hosting a Ladies Offroad Social during the 2016 International Off-Road & UTV Expo in Scottsdale, AZ on Saturday, September 24th from 3-5:00pm PST at the KC HiLites booth. Stop by to say hello and meet other off-road ladies. Plus, enter to win prizes or an All-Access Adventure entry! Learn more about the International Off-Road & UTV Expo on their website. While you’re at the show, Bower Power Hour is on the road again bringing you live interviews with industry leaders via Facebook. This weekend, they will be at the International Off-Road & UTV Expo (September 23-25, 2016) in Scottsdale, AZ. Like Bower Power Hour’s Facebook page to watch the live interviews!